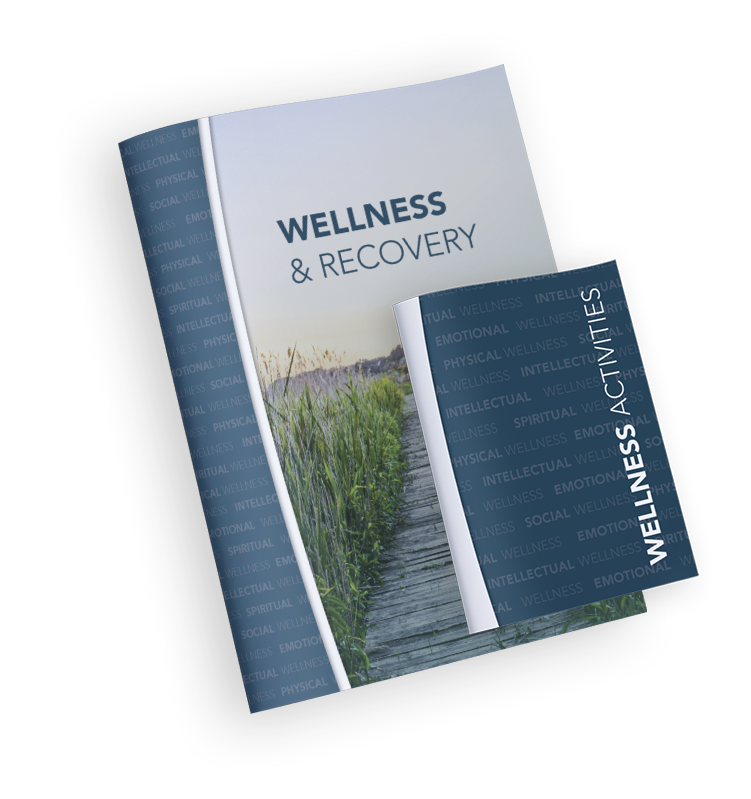 The Change Companies® is pleased to announce a new Interactive Journal for individuals in recovery: Wellness & Recovery. This visually engaging, cognitive-behavioral Journal helps participants develop lifelong wellness habits, gain skills and strategies for a healthy recovery within five dimensions of wellness and learn how to access the support of others on their recovery journey. 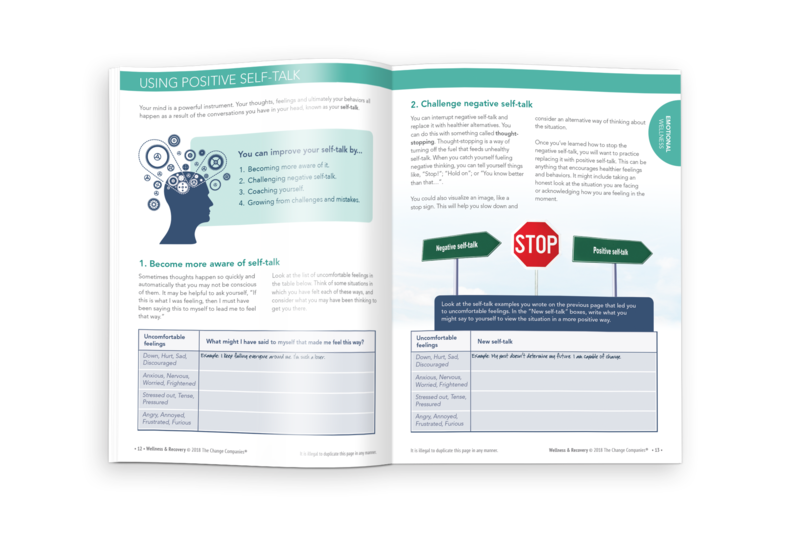 Self-assessments throughout the Journal allow participants to identify their strengths and areas of focus. Strategies for change are emphasized throughout. 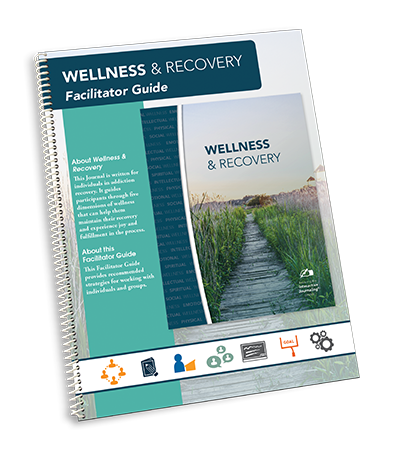 Wellness & Recovery comes with a pocket-size companion piece, Wellness Activities, which provides participants with several “in-the-moment” activities that can serve as healthy alternatives to substance use. The Journal also has an accompanying Facilitator Guide with individual and group facilitation recommendations. It provides opportunities for practice, skill-building and application, both in and outside the group session environment. Featuring the evidence-based practice of Interactive Journaling®, which incorporates motivational interviewing, cognitive-behavioral practices, the transtheoretical model of change and structured expressive writing, Wellness & Recovery is a good fit for most treatment settings and levels of care. Implementation settings include intensive outpatient, outpatient, continuing care, residential, partial hospitalization, community corrections settings and more. To learn more about how Wellness & Recovery fits the needs of your setting, contact us at (888) 889-8866.